When your root get infections or your dental pulp is damaged from disease, dentists will advise root canal treatments to save patient tooth. Otherwise the tooth need to be be extracted. Although the pulp has been removed, the tooth is still anchored in the bone and can still be used for biting and chewing. 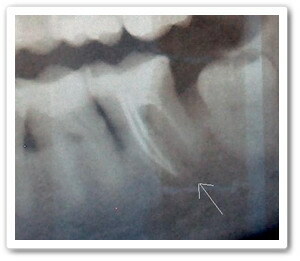 Here is the indication between healthy and diseased tooth. Tooth extraction is the only alternative. The extracted tooth will have to be replaced by a denture or a bridge. Otherwise the neighboring teeth will move into the space, creating problems with eating and cleaning. These problems can give rise to gum disease and new cavities. 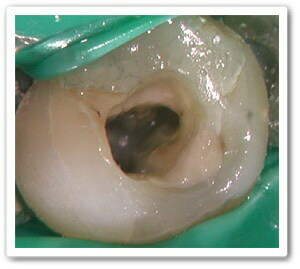 After that the hollow pulp chamber and root canals are cleaned, filled and sealed. A tooth consists of a crown and one or more roots. The roots anchor the tooth in the jaw bone. 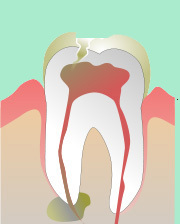 Within the tooth is the pulp, which contains nerves and blood vessels that nourish the tooth. 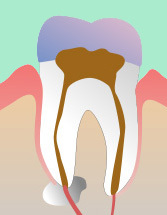 In a diseased tooth, the pulp is infected or damaged. The cause are usually tooth decay and sometimes, trauma or gum disease. 2. Open anatomic crown of the tooth. 3. 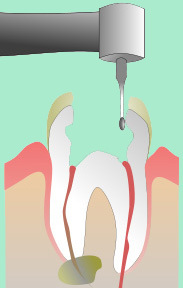 Removing pulp chamber and the root canals. Clean root canals infections. 4. Fill inert materials and cover the opening with permanent crown. During root canal treatment in Pattaya dental practice, X-ray need to be taken at each stage to assess the lengths and positions of the canals. 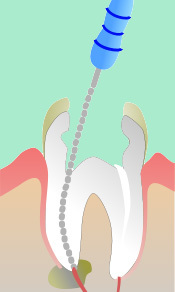 Root canal treatment can sometimes be completed in one visit but often several visits are needed. Prosterior teeth usually require more time for treatment because they have more canals and are harder to reach. 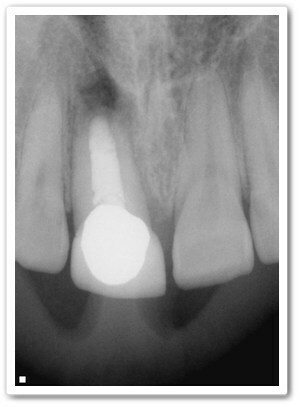 Typically, it is advised to have dental post & core to replace root cavity and dental crown to cover the hole. Root canal treatment may be slightly more brittle than a normal tooth but with the proper restoration and care it can last a life time. Proper dental care include regular brushing, flossing, proper diet and six-monthly dental check-up.